Once an aid-recipient country, South Korea has worked its way up to becoming a donor country, at a speed that surprised the world. The country’s development and changes also occurred under a unique circumstance, at a cease-fire with a communist state. But Korea has been weak in making long-term policies, as state plans often revolve around yielding a result during the 5-year presidential term. Now, the country should look beyond to plan its future looking 30 years ahead, according to Park Jin, the first director of the National Assembly Futures Institute. “The country’s population policy implemented in the 1990s attempted to lower the birth rate while the pension system was introduced for a short-sighted benefit even though it was obvious that the country would suffer a fiscal deficit someday,” Park said told The Korea Herald last week. As of 2017, Korea recorded its lowest fertility rate at 1.05 and the national pension system that was introduced in 1988 has now become a subject of dispute. “Policies made to improve the situation for the next five years, and those that were made to look 30 years ahead start from different roots,” Park said. The day of the interview marked the 100th day since the first state-led future institute at the National Assembly begin operation on May 28 and Park vowed to lay a firm the foundation of the think-tank. The law establishing NAFI passed in November 2017 after a long discussion. In the three month since the institute‘s opening, Park and his team of eight researchers holding doctorates in diverse fields, have selected four main research subjects and established its operation system. “Often people misunderstand ‘future’ studies as conducting research to know and predict the future. But future studies actually refers to finding out what we need to do to reach a future that we want,” Park said. An economist, Park was previously with the Korea Development Institute. The institute’s three main goals are focused on building the background of their research. But the fourth research topic is North Korea, an immediate issue. An issue with great uncertainty is the best subject for future research, and North Korea is just right as their first task, Park said. “We will have to wait for the results of the research, but I believe North Korean leader Kim Jong-un has taken the reform and opening-up train for his state. And there is the uncertainty of whether the train will reach its destination without derailing,” Park said. The NAFI will watch for the various factors that will affect the future of the communist state, Park added. While there are many reports and a lot of on-going research about North Korea, the NAFI seeks to differentiate itself by giving a choice to what kind of relationship the people want with the North in the future. “Some years ago, many would have thought the look of the ‘reunified’ Korea would be the complete joining of the governments and land. But not anymore, and we will ask what kind of relationship the people want with the North. And the thoughts of the young people are very important in this,” Park said. While his institute has only begun, Park seeks to expand its influence, for the country to think of major changes and look ahead. “For example, college entrance system would be the first thing that pops up in the minds of most Koreans when asked about education policies. But the core of education reform should be about what and how we will teach the students for their capabilities 20 to 30 years later,” the 54-year-old director said. Outside of Korea, there are many world-renowned future institutes, such as United States Institute of Peace and Woodrow Wilson International Center for Scholar. As for South Korea, the case of Finland will be most exemplary model of future-planning, Park said. The northern European country has a Committee for the Future in its parliament, where lawmakers from both sides of the aisle discuss in their legislative and policy-making processes, in addition to a future institute, like NAFI. Underpinned by the Constitution, not only is the committee stable, its presence is resembles that of “the senate” system, Park explained. “Finland is a country that makes a good use of the future studies. When a new prime minister enters office, their future institute submits its research report. The prime minister discusses the report with the parliamentary committee and plans their policy outlook,” Park said. Given the divisive nature of Korean politics, laying future-oriented goals would also help reduce political friction, as lawmakers would agree on a better future, Park said. 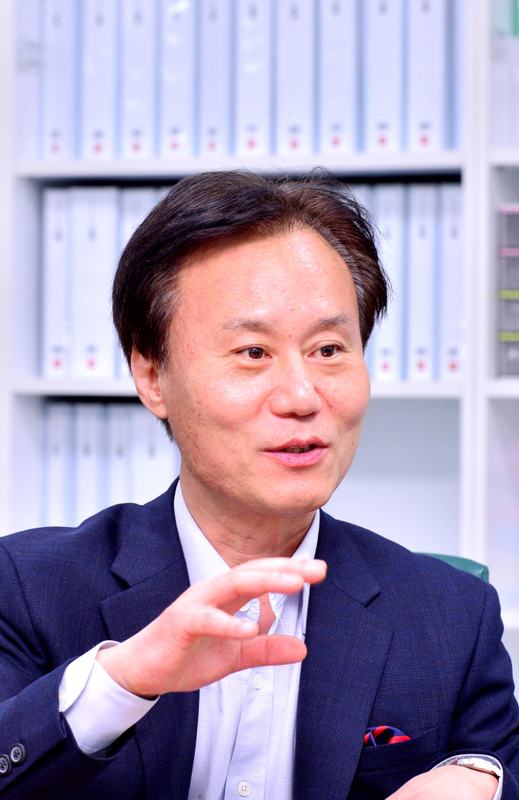 That is why Park plans to deliver the results of the research during his next two years to his successor to present to the lawmakers in 2020. For this year, Park plans to come up with 10 priority reform tasks and five big unexpected variables that could impact the country. The report on North Korea is expected in mid-2019. While there are over 50 state-funded research institutes, NAFI is the only one to be launched under the National Assembly. 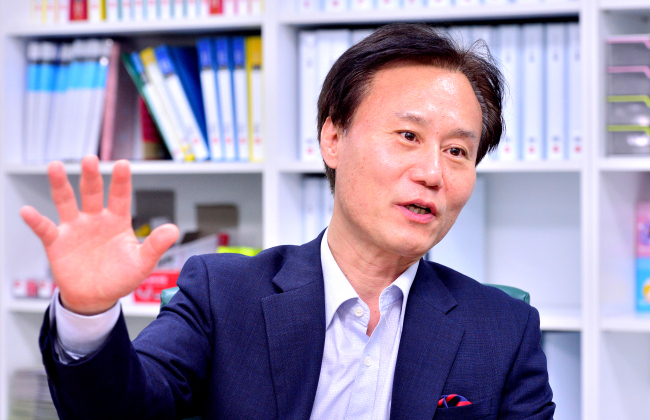 Unlike other entities that operate to meet the goals of the incumbent presidents, NAFI can maintain political neutrality, as all parliamentary negotiating blocs act as the watchdog, and select the director, Park said. The institute receives national budget and obtained 3.9 billion won ($3.5 million) this year. Next year’s budget is planned at about 5 billion won.